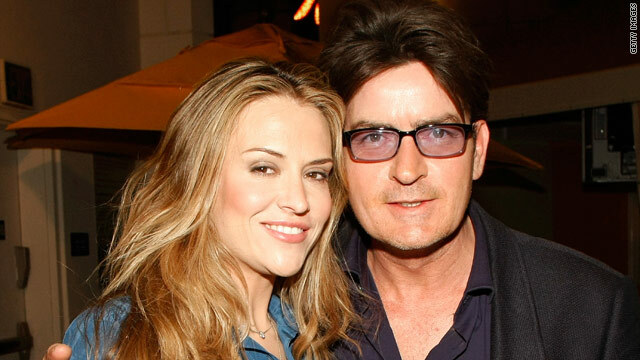 According to an article just released from CNN, Brooke Mueller, wife of actor Charlie Sheen, has reportedly asked a judge to modify a restraining order restricting Sheen’s contact with Mueller. Sheen was arrested on Christmas Day on charges of domestic violence after he allegedly attacked Mueller in a drunken fight and held a knife to her throat. According to Mueller’s 911 call to police, Sheen attacked her because she told him she wanted a divorce. Follow this link to a CBS article reporting on these details. At first glance, Mueller may not appear to be the typical (or, perhaps, stereotypical) victim of domestic violence. Prior to her marriage to Sheen in May 2008, Mueller was a real estate investor, apparently successful in her own right. She also has enough funds at her disposal to hire celebrity lawyer, Yale Galanter, who made her request to drop the restraining order against Sheen. And yet, by asking the judge to lift the restraints on Sheen, Mueller illustrates a sad, but all-too-familiar dilemma in domestic violence cases – the victim that returns to the abuser. According to Mueller’s lawyer, the Christmas Day incident was merely “one bad night.” One bad night?!? If Mueller’s account of the evening’s events is correct, Sheen attacked her with a knife because she wanted a divorce! That is not something to be dismissed as “one bad night.” Moreover, the couple was reported in celebrity gossip rags as having domestic problems almost immediately after they wed. You can link to an article here from June 2008 discussing the rumor that the couple cut short their honeymoon in Costa Rica because of incessant fighting. These statistics were obtained from the Domestic Violence Resource Center. You can link to more statistics at their website here. The United Nations also regards violence against women as a human rights issue. You can link to more information about the UNITE campaign here. This entry was posted in human rights, violence against women and children and tagged Brooke Mueller, Charlie Sheen, Domestic violence, women's rights. Bookmark the permalink.